Back in the stone ages... well, at least the 1960s... if you wanted to talk to someone a fair distance away there used to be a device called a telephone. And if you were living in the UK in the 60s, 70s or even 1980s then you probably had a GPO Type 746 in your house. Launched in 1967, the type 746 turned up absolutely everywhere. Moulded in a variety of coloured plastics (grey! cream! black! two-tone green! and many - OK, a few - more) the Type 746 was introduced to a market apparently craving US-style telephones with... err... their curly cords. A simple enough design, the 746 was also nicely curved which gave it a friendly look. The loud mechanical bell could certainly give you a fright though. 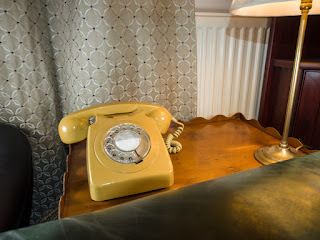 Entirely electromechanical, telephone numbers were called using a rotary dial that basically made clicks down the line. One click for "1", two for "2" up to ten clicks for "0". Dialling a typical long-distance phone number would involve fifty to sixty clicks. If you got it wrong... you had to redial the whole thing. If the exchange connected you to the wrong number (a common occurrence)... you had to redial the whole thing. If the other number was engaged... you had to redial the whole thing. If you couldn't hear the person on the other end... I think you get the picture by now. Telephone calls used to be expensive, so sometimes people would fit a lock into the rotary dial to stop unauthorised use. However, it was possible to bypass this by pressing the switch on the cradle down and up in rapid succession, for example clicking the switch ten times would dial the first "0" of a long-distance call, which you could then follow by the others. As well as talking to people there were information services. Sort of. The speaking clock is still around today, but you could also listen to the latest records on Dial-a-Disc ("16") in case you didn't have a radio and wanted to PAY to listed to a cruddy tinny sounding song. If the cricket was on then Dial-a-Disc dropped off the air and you could listen to that instead. You could dial the operator on 100. 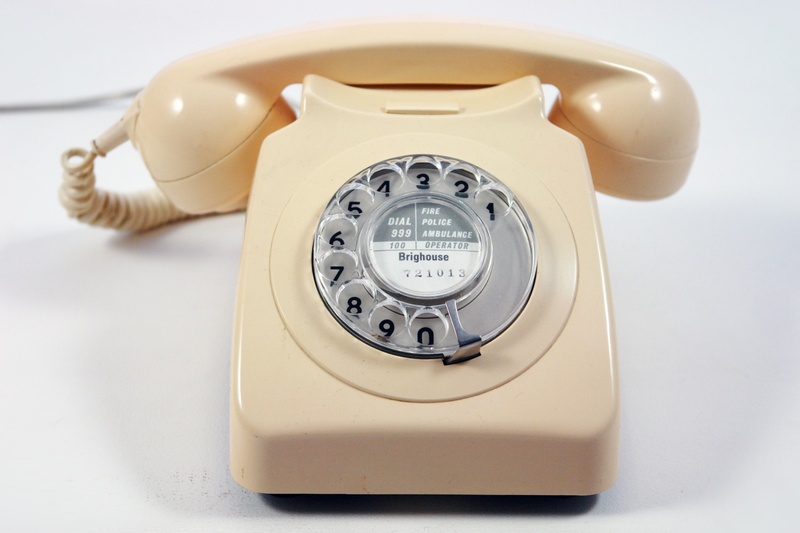 If you dialled 192 you would get free directory enquiries, to help you find the number you needed. If you wanted to speak to someone local you would use a thing called a telephone directory, which was printed on processed wood pulp. Those were the days. Most people didn't actually own their Type 746, but instead rented one from the GPO who provided the telephone service. Colours seemed to be a pot luck. The natural home for the telephone itself would be a small table in the hallway, as having one in the living room was often considered a bit gauche. 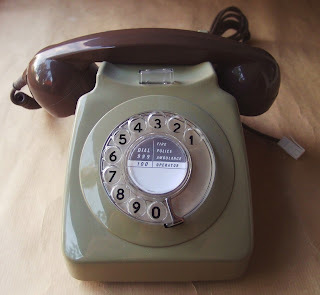 Of course things got better with features such as push-button dialling, last number redial and even secrecy buttons. These days landlines remain an essential medium for elderly relatives, tech support scammers and telemarketers to get hold of you and in most cases not much else. Since almost all ADSL broadband connections also include a phone, which is probably the only reason a lot of people keep a landline. There are lots of Type 746s available today, and a good one will cost you around £40 to £50 or so, but you’ll need to check that it has been converted for modern BT connections first. And you might not want to throw away your push-button model even if you do want to indulge in a bit of retro tech.